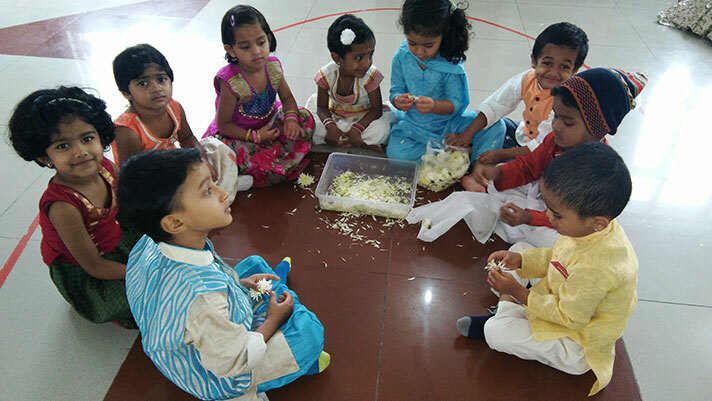 The Onam celebration on 1 September 2017 at the Global Montessori Centre campus had the students and teachers dress up in traditional attire. 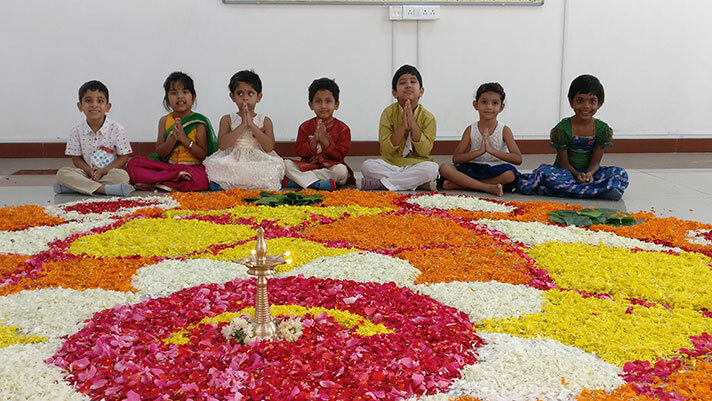 The festive spirit filled the air as the chilren brought flowers for the ‘POOKALAM’ (flower rangoli). 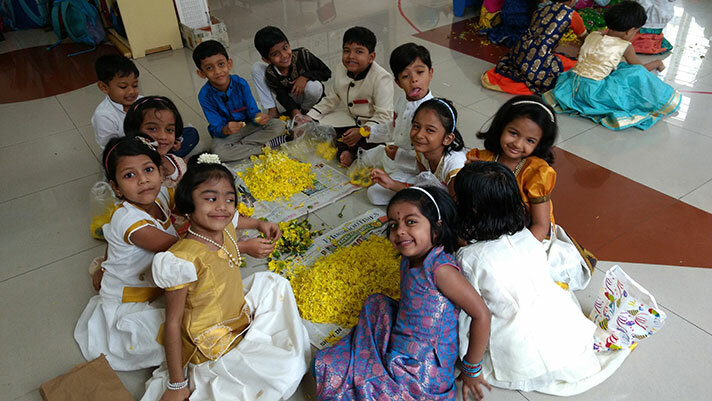 Each Class of Kindergarden and Montessori took turns to fill in flowers for the ‘Pookalam’. The children and teachers together made a very beautiful and grand flower rangoli.